South Korea's smallest mobile phone operator, LG Telecom, could be punished by the country's telecoms regulator for missing a deadline for its 3G mobile service. The regulator will decide next month whether LG has violated the government's order to start 3G trial service by the end of last year. "LG Telecom will be the focus of a meeting to review information and communications policy next month," said a source at the Ministry of Information and Communication. Doubts over LG Telecom's 3G service were not unexpected because of company's poor financial capability and a lack of technical support. LG Telecom won the 3G license to deploy CDMA2000 1X EV-DV (evolution data voice) based networks. But Qualcomm, who developed the EV-DV technology, has decided to stop developing EV-DV chipsets because of a limited market opportunity and lack of demand Kang Shin-goo, an official at LG Telecom's public relations team, said the company had no choice but to abandon their 3G plans because of Qualcomm's decision. "In fact, the EV-DV technology is virtually impossible to commercialize, and its uptake is more difficult at this stage," Kang said. Some analysts said LG Telecom's 3G problem is due to the company's poor financial structure. 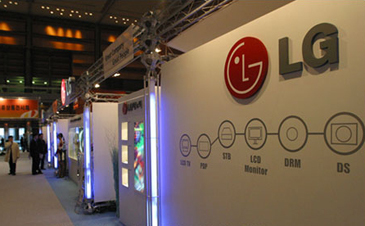 Last year, LG Telecom saw its net income drop 71% to 22.6 billion won, compared with 78.7 billion won a year ago. Earnings before interest and taxes, or operating profit, also dropped 37.9% year-on-year to 131.1 billion won last year after the company spent heavily in the nation's highly competitive wireless market.